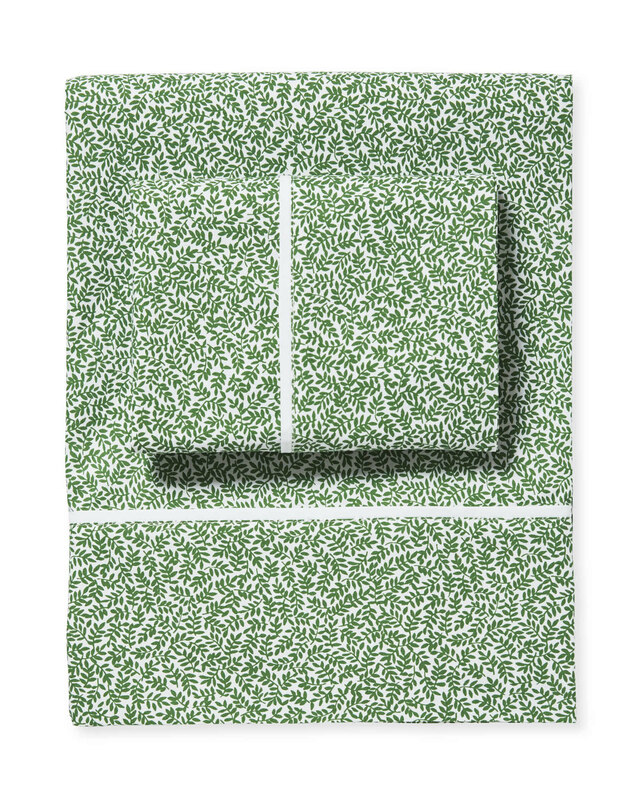 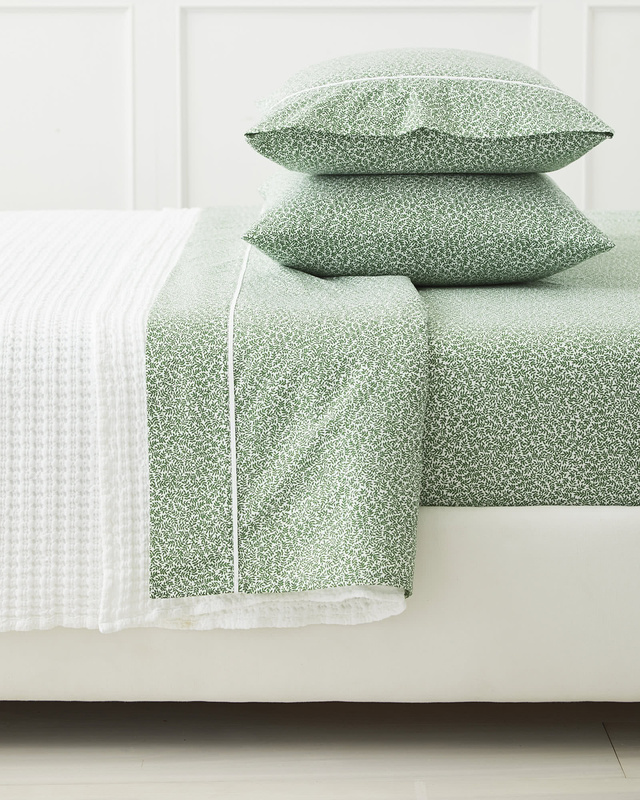 Linden Sheet SetLinden Sheet Set, Palm Green alt="Linden Sheet Set, Palm Green"
Print Our take on a classic ditsy print was designed with our Priano Bedding in mind (another great botanical pattern, in larger scale) -- but we love it layered with other prints, too. 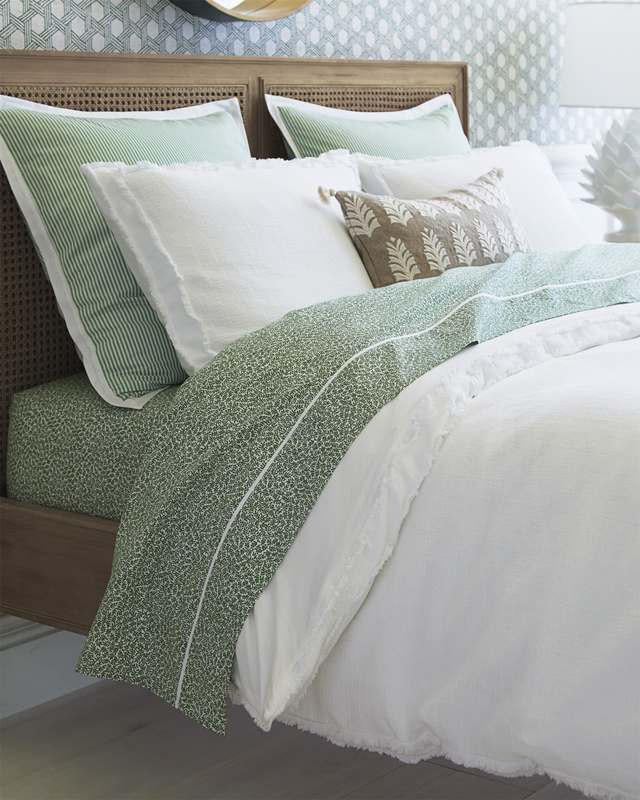 To switch things up a little, try toning down the all-over pattern with lots of solid white or earthy neutrals. 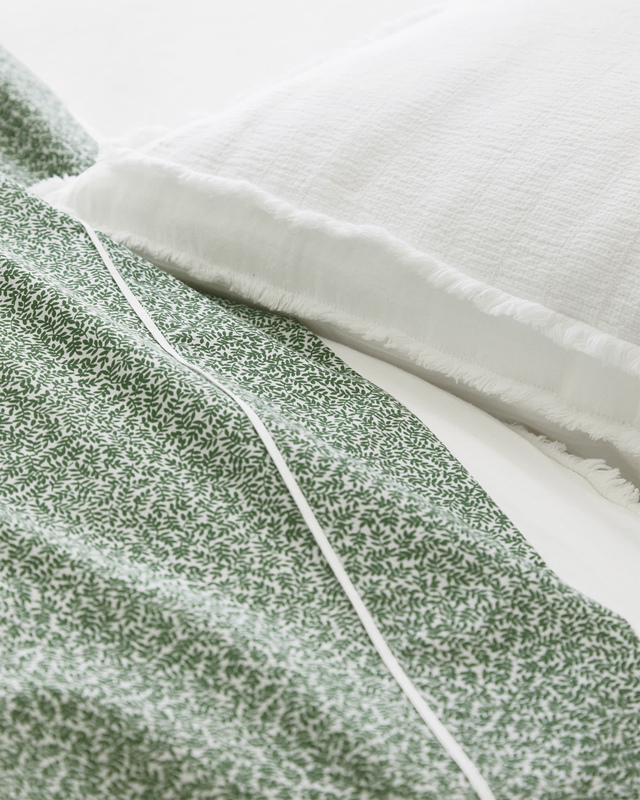 Woven of 100% crisp cotton percale.